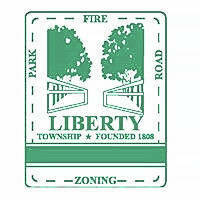 A resolution to disband Liberty Township’s Development and Annexation Citizen Advisory Committee was quickly tabled by trustees during a special meeting Monday morning. A resolution was approved by trustees April 17, 2017, to form the advisory committee. Trustee Melanie Leneghan said she saw the committee as a group to address the Sawmill Parkway extension so there was consistent beneficial development for the township. The resolution to disband the committee was because of some of the topics brought up by the committee. She said that she thought some of the ideas would not be sanctioned by the board. Leneghan used the bike path committee as an example. Trustee Mike Gemperline said he could see value in having the committee. “I absolutely think we need to get together with the City of Powell and get a better handle on the commercial development down Sawmill Parkway,” he said. However, when he attended a meeting, he said there were three topics mentioned that would increase taxes. “That was alarming to me,” he said, but did not specify what alarmed him. Trustee Shyra Eichhorn was unable to attend the special meeting Monday. This entry was tagged Advisory Committee, Gemperline, Leneghan, Liberty Township. Bookmark the permalink.